Everyone wants a good deal on travel. Chances are you already compare airlines before choosing the best price, but what about comparing airports? We analyzed the United States Department of Transportation’s list of the busiest airports in 2018 to find out which ones have, on average, the cheapest airline tickets. It’s important to note that airfare can fluctuate depending on the time of year and the demand. You can always check for current deals at websites like Cheapflights and Skyscanner. Out of the 25 busiest airports in the U.S., the following six were reportedly the cheapest to fly from. 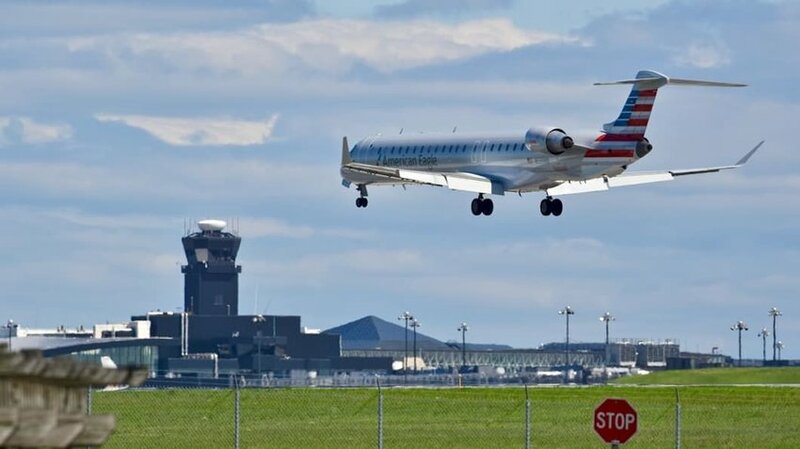 To see how some of your local airports stack up against the competition, check out the full list of the 414 busiest U.S. airports and their average airfares. The Baltimore/Washington International Thurgood Marshall Airport offers direct access to the Baltimore-Washington D.C. metropolitan area. Set in such an ideal location, it’s no surprise that it’s reportedly the 18th-busiest airport in the country. The airport has an average airfare of $315.47, according to the U.S. Bureau of Transportation Statistics, and the opportunity for great flight deals — some under $100. Odds are, you'll find a better deal here than with its competitors in the area, namely the Ronald Reagan Washington National Airport and the Washington Dulles International Airport. 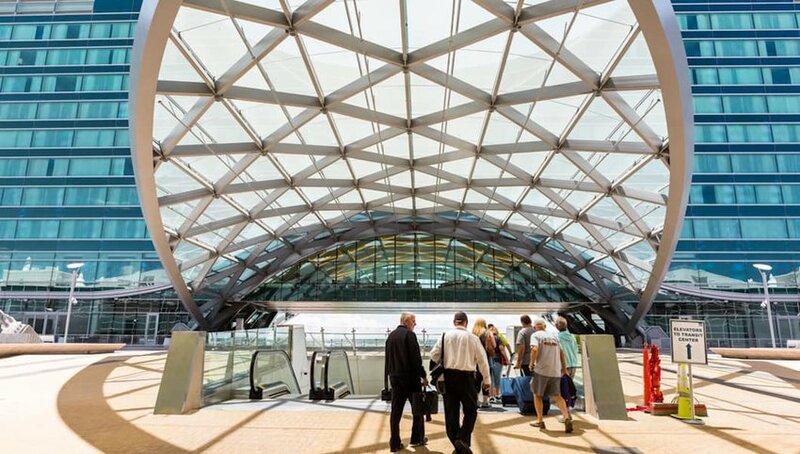 Conveniently located in Central West Florida on the Gulf of Mexico, the Tampa International Airport offers lower airline prices than most of its competitors, at an average of $309.92, according to the U.S. Bureau of Transportation Statistics. 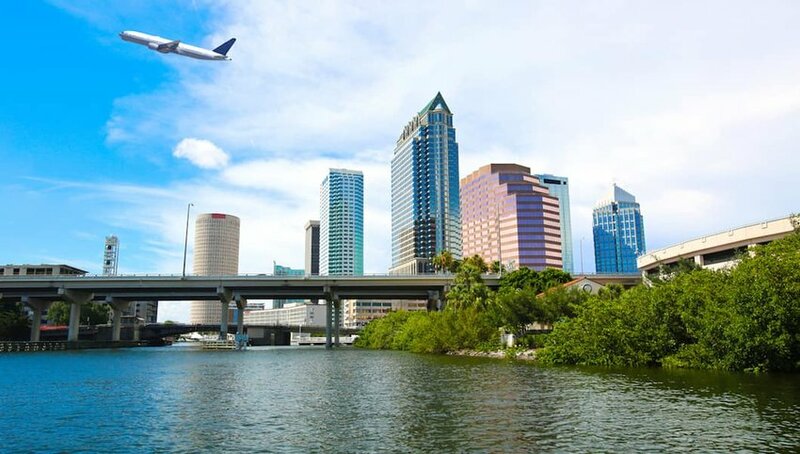 Not only do travelers have direct access to Tampa when using this airport, but other popular destinations in Florida, like Clearwater, St. Petersburg, Orlando and Fort Myers, are less than a two-hour drive away. Just how low do prices get at this airport? Check out Cheapflights for updated airfare deals, typically around $100 for Tampa departures if your itinerary is flexible. The Denver International Airport is an obvious choice for travel in the Rocky Mountain region of the United States. With more than 190 nonstop destinations and 23 airlines, Denver offers cheaper flights than you might expect. The reported average airfare is $296.50, which is pretty affordable considering it’s currently the third-busiest airport in the country. If your travel plans are flexible, you can find ticket deals to Denver for under $100. If you’re looking to use up some extra time before your flight, Denver has before been named the “Best U.S. Airport for Art” by USA Today. 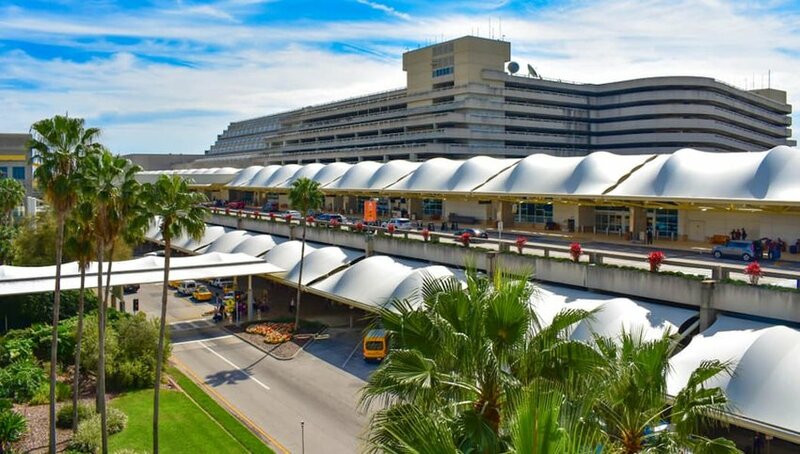 With many major tourist attractions in Central Florida, including Disney World and Universal Studios theme parks, it’s no wonder that the Orlando International Airport is reportedly the 12th-busiest airport in the U.S. as well as the busiest in the state of Florida. Located just six miles from downtown, this airport is an obvious choice for convenience when visiting the area. Luckily for visitors to the Sunshine State, according to the U.S. Bureau of Transportation Statistics, a traveler can expect an average airfare of $245.20 for an Orlando departure. Check out Cheapflights to learn more about the best months to fly out of Orlando along with some awesome deals, with some under $75. 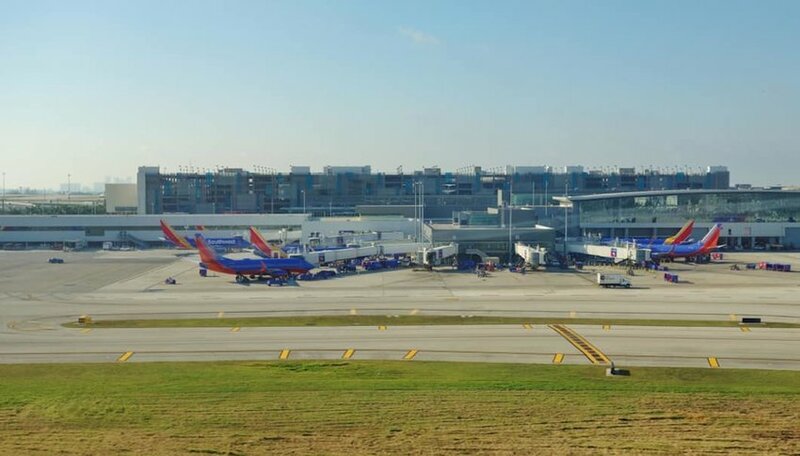 Another Florida airport, the Fort Lauderdale-Hollywood International Airport is an excellent option for travelers looking to get to Southern Florida without breaking the bank. With a reported average airfare of $239.17, this airport is conveniently located less than an hour’s drive south of West Palm Beach and about half an hour north of Miami. Travelers can find deals on tickets from Fort Lauderdale for well under $100 by using sites like Skyscanner. Due to its location and prices, this airport was ranked as the 22nd-busiest in the United States at the end of 2018, according to the U.S. Bureau of Transportation Statistics. 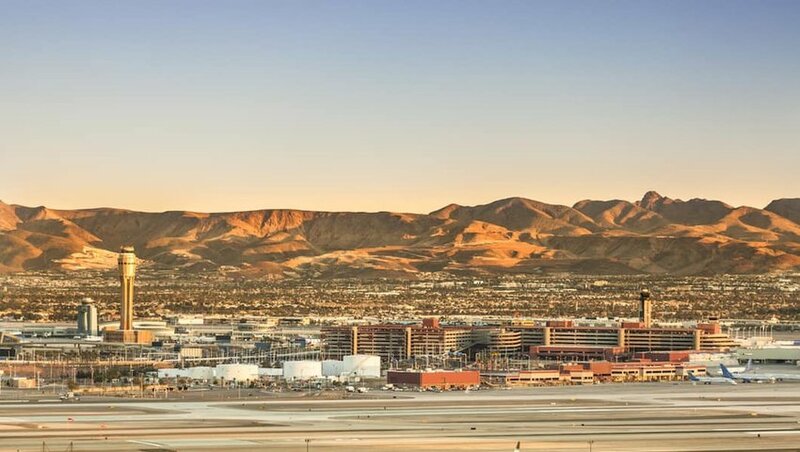 The McCarran International Airport, the primary commercial airport in the Las Vegas area, has some of the lowest airfares in the country, coming in at an average of $231.05, according to the U.S. Bureau of Transportation Statistics. Some months can have much lower fares, sometimes cutting the price in half, so do your research before planning your trip to the fabulous Las Vegas area. The airport is just five miles south of the city, offering direct and convenient transportation to downtown. Just because this airport is inexpensive doesn’t mean that it lacks amenities, and you'll find dining, shopping and of course, slot machines, throughout the airport.